Here's a new twist from our London artisan, Daniel Lyons. For this free-flowing Christmas tree brooch, he arranges an array of 39 Swarovski crystals in various shades of blue to lay beneath the sculpted tree of gleaming rhodium. 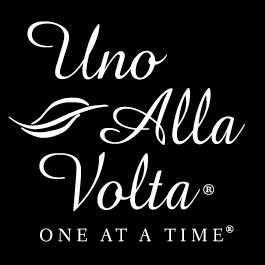 This Christmas tree brooch is masterfully handcrafted exclusively for Uno Alla Volta, from the heart and hands of the artisan. No two pieces are exactly alike. Each brooch measures 1.75in. x 2.25in.